I'm a big fan of Guy Kawasaki and his enthusiasm for the topics he covers is contagious. He definitely convinced me with this book to develop my activity on Google+. 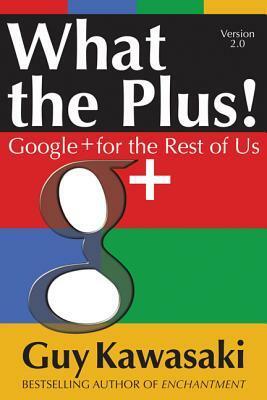 What the Plus is a great introduction to the Google+ platform. Towards the beginning of the book it has a chart with a break down of the advantages and disadvantages of each of the main social media platforms (Facebook, Twitter and Pinterest). This chart alone makes it clear that Google+ is ahead of the game. This book will help you make sense of one of the best and most popular social media sites around today and educate you in the way to leverage it for better results.